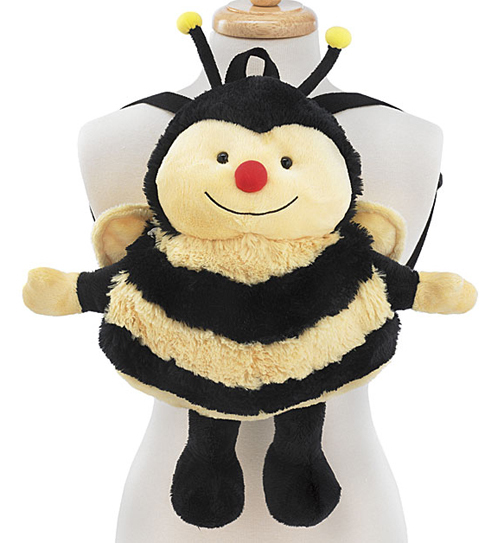 This whimsical bee is what any toddler would love to hang around with. With its red button nose, two antennaes and striped body, she will be a constant day and night companion. This bizzie bee is absolutely adorable and so convenient to carry around as it is the central feature of this cute toddler backpack! Yes, get Bizzie Bee Plush Backpack for your little one. It is a great carry along for preschool or daycare!